Occasionally, it’s only right – and would practically be a disservice – not to make mention of an obvious but fitting connection between sounds and words should a band provides it. 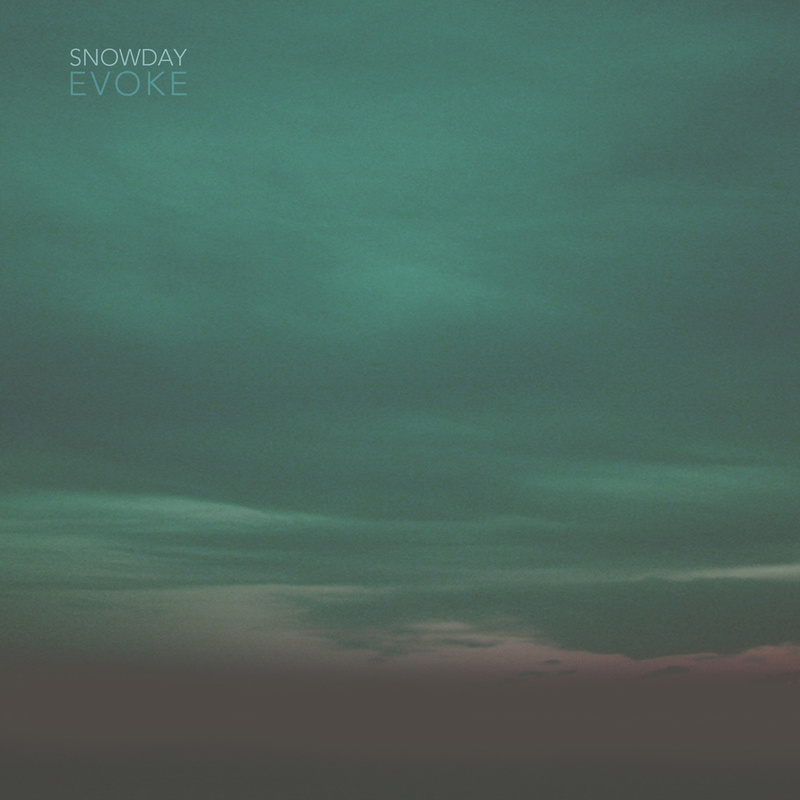 This is the starting point for Snowday and their forthcoming EP, “Evoke” –due out 18 September 2015 via Hybridity Music. 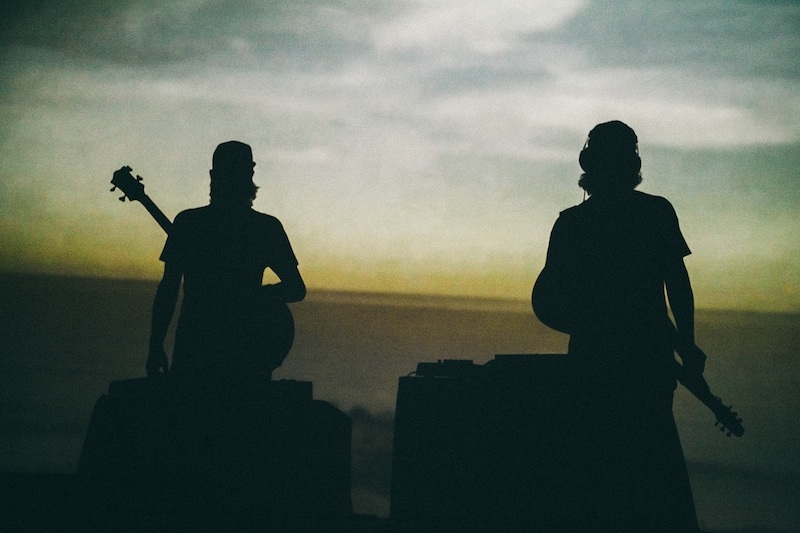 An electronic music project made up of long time, high school friends, Cam Sloan and Chad Skinner, Snowday is based out of Toronto, Ontario and revolves around the vein of quieter, more ambient electronic tracks. Being with an introduction like this and it seems almost impossible to layer on another wintry-themed element to this duo’s artistry. Nevertheless, one skim of the titles to some of the tracks off Snowday’s debut LP, “As We Travel” (e.g. A Quiet Winter, Walk Along These Rocks With Me, Alaskan Cabins) and it virtually becomes a lie if someone says they don’t end up thinking about isolated snow-scapes devoid of all but nature’s own harmonics. When described as a complete snapshot, “Evoke” is a work that takes the listener off to five different microcosms (pocket dimensions, if you will.) Even though each gives listeners but a few minutes for aural exploration, all the tracks are like sonic hiking trails that can be traveled repeatedly. Still, repeat play throughs leave the ability to appreciate a new set of subtle aspects along the way, perhaps missed during a previous listen. The ways in which Snowday manages incite thoughts connected to the ideas-turned-titles on their tracks, varies across the EP. Sometimes, association is achieved through a specific recorded instrument/effect (e.g. intermittently rippling droplets just barely audible under layers in “Detour”) and other times through compositional choice. The first track, “Ceremony,” for example, offers up a relatively simple motif using common Rhodes keys. It does so however, playing in the realm of the harmonic minor scale, which often brings to mind scenes of Egypt (and its grandiose ceremonial traditions) or compositions derived from the Middle East/Eastern Europe (like the Tchaikovsky’s notable “Marche Slave”). Alternations like these prevent “Evoke’s” lack of lyrics from seeing it fall into an abyss of predictability –or worse, monotony that can be downgraded to the backdrop of one’s attention. In the same token, while the arrangements for these tracks and use of non-electronic instrumentation (violin, saxophone) is noteworthy, moments arise where it is difficult not to feel as though Snowday has pulled the very dated sound of instrumental works by Yanni, circa 1997’s “Tribute.” While Yanni is very well-known and esteemed for his breath of compositional talents by some, his signature sound (unfortunately) tends to steer reactions straight to a stunted halt, due to knee-jerk conclusions about an expansive and ornate style of composition. This is no fault of Snowday’s but is rather just an unfortunate side effect of times and music gone by. Contrasting with song structures like these, Snowday also delivers work on “Evoke” that conversely shows they are not afraid to have their music placed in a background position. The titular track on the EP is a prime demonstration of this; with a very damper pedal-heavy piano line and extraneous background noises acting as the primary foundation of the entire 5+ minute piece. Claude Debussy’s quote, “Music is the silence between the notes,” is aptly applied here, as four, five and six note length repetitions recur with large gaps of rest in between –leaving nothing but non-musical sound and the piano’s natural sonic decay to fill the space and making it a piece clearly suited for a scene of heavy contemplation or reflection in some serious independent film or historical documentary. The degree of meticulous assembly granted to “Evoke” is quite admirable for Snowday and presents the group as one that was not intimidated by the thought of the dreaded, first follow-up. What’s delivered here succeeds in showing variation, risk taking and evolution but also grants previous fans continuity and affirms Snowday’s specific, and thus far very appealing, cut of the electronic/ambient music pie. “Evoke” will be released on 18 September 2015 through Hybridity Music. Catch a pre-blizzard break with a Snowday mix! Suffolk is swinging back to the sounds and styles of cabaret!